£40,000! That’s the wager. Did he, or didn’t he? On December 6th The Shakespeare Authorship Coalition (SAC) challenged The Shakespeare Birthplace Trust (SBT) to a mock trial, before a neutral panel of judges, during which both sides of the “authorship issue” would be debated and judged by the impartial rules of logic and evidence. To show how serious they are, SAC put up £40,000 (that’s British Pounds!). After a fair presentation of the facts, if the judges rule that the SBT proved “beyond a reasonable doubt” that their man wrote the plays, then their organization (a charity) is £40,000 richer. If, on the other hand, the judges rule that there is “reasonable doubt” about the man to whom they attribute the works, then . . . well: in either case the truth will have been served. Seems like an attractive offer. Are the defenders of the Shakespeare orthodoxy willing to subject their arguments to anything like impartial rules of evidence? Or will they decline the chance to add £40,000 to their Shakespeare charity. Will they? Or, won’t they? We of course encourage the SBT to accept the challenge and present their case in a fair and open public forum. Taunton, Somerset, U.K., December 2, 2013 — Today the Shakespeare Authorship Coalition (SAC) announced an offer to donate £40,000 to the Shakespeare Birthplace Trust (SBT) in Stratford if it proves ‘beyond doubt’ in a mock trial that William of Stratford wrote ‘Shakespeare.’ The donation offer, conveyed to the SBT in an open letter, appears in a full-page ad published today in the Times Literary Supplement (TLS) (text shown below). The Birthplace Trust hasn’t yet responded to the offer, so the SAC decided to put it on the public record. In addition to the £40,000, the SAC has offered to raise all of the money to pay for the mock trial. No deadline has been announcedfor when the offer expires. The mock trial challenge was communicated to the SBT in the book Shakespeare Beyond Doubt? (Shahan and Waugh, eds. 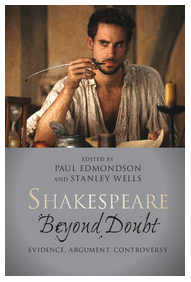 ; 2013), written in response to the similarly-titled book, Shakespeare Beyond Doubt, edited by Paul Edmondson and Stanley Wells, both of the Birthplace Trust. Today’s TLS also includes a full-page ad for Shakespeare Beyond Doubt? ‘Our book presents a compelling case for reasonable doubt,’ said Alexander Waugh. ‘We only decided on the donation offer after it became clear that the SBT had no intention of defending its claim’, he added. The open letter includes a list of those who pledged to put up the money — 40 pledges, totaling £40,000 (see list after the open letter below). Among the 43 people named are SAC patrons Derek Jacobi and Michael York; 23 Americans, 14 Brits, 3 Canadians, and 3 Dutch/Germans; 34 people with advanced degrees (23 doctorates); 17 current/former academics; authors of 10 authorship books; and 1 retired USAF general. SAC challenges Shakespeare Birthplace Trust to Mock Trial! Offers £40,000 donation if they prove Shakspere wrote works. Why would they decline if the case for him is “beyond doubt”? On 4th July, we wrote to you with the Shakespeare Authorship Coalitions invitation to the Shakespeare Birthplace Trust to take part in a mock trial of its claim that the identity of the author of the works of William Shakespeare is beyond doubt. On 6th September, you replied, rejecting our invitation. 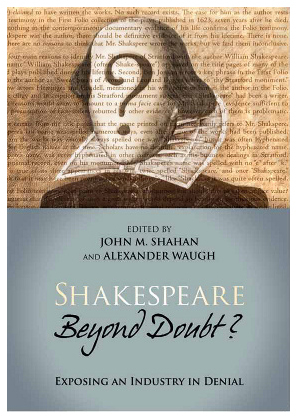 While we understand the position the Trust is taking, we hope you agree that it would be desirable to resolve our diametrically opposed viewsyours that it is beyond doubt that Shakspere of Stratford was the author Shakespeare; ours that there is reasonable doubt, and that the authorship issue should therefore be regarded as legitimate. While you say that you have nothing to add, it yet remains for you to test your stated position against the opposing case in an orderly, objective and neutral forum that would be appropriate to and in keeping with the Parliamentary Charter under which the Birthplace Trust operates. 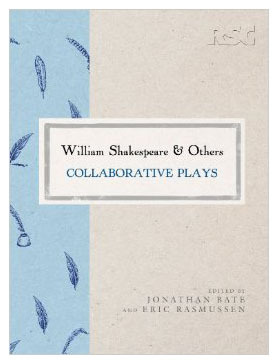 As an inducement to participate, the Shakespeare Authorship Coalition hereby offers to donate £40,000 to the Shakespeare Birthplace Trust if it proves, in a mock trial before a panel of neutral judges, that Shakspere of Stratford wrote the works you attribute to him. We are, of course, open to alternative formats, procedures and venues for the mock trial, as long as they are even-handed, they provide a valid test of the Birthplace Trusts claim, and each side has ample opportunity to present evidence and for challenges and rebuttals. Both the Coalition and the Trust should be responsible for the costs of its own team. The Coalition will, however, undertake to raise the funds needed to pay the costs involved in putting on the mock trial after we have reached agreement on all necessary arrangements. A list of those who have pledged to contribute towards the £40,000 donation is enclosed. Once weve reached agreement on all of the important details (format, venue, dates, etc. ), the SAC will collect the money pledged and place it in an escrow account before the trial. 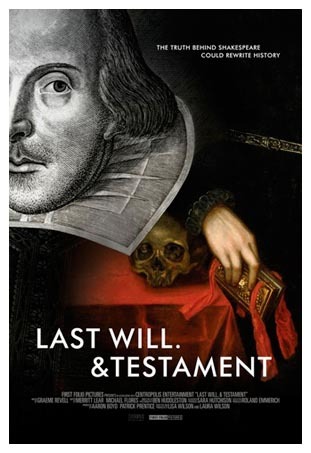 On October 15, PBS Distribution officially rolled out the DVD of Last Will and Testament, the remarkable documentary film that explores with beauty, intelligence and great depth the question of who wrote the works of William Shakespeare. And now you can order it on DVD from PBS. Sir Derek Jacobi leads an impressive cast featuring Oscars-winning actress Vanessa Redgrave and Tony Awards-winning Mark Rylance on a quest to uncover the truth behind the elusive author, and discovers a forgotten nobleman whose story could rewrite history. It’s an awesome film. And now that PBS is rolling it out on DVD many more people will come to understand the controversy and why it has existed for over a hundred years. Get the movie. Light the fire of genuine inquiry, and burn back the academic overgrowth of stodgy obstruction. Run time is 85 minutes. It’s on www.shoppbs.org for $19.99. “Frailty, thy name is woman.” NOT IN THIS “HAMLET”! Had Shakespeare met Lisa Wolpe or encountered her powerful theater company he would have dropped that line, or switched the gender perhaps; which is exactly what Wolpe and The Los Angles Woman’s Shakespeare Company does with its All-female, multi-cultural production of Hamlet at the Odyssey Theater Ensemble in Los Angles, California. It’s the company’s 20th anniversary and they’re celebrating by taking on the Bard’s longest and in ways most difficult role. Wolpe has set radically new standards of performance and interpretation as the production evokes a politically dynamic, sexually provocative and spiritually awakened frame of reference. Must see! Wolpe herself says her primary drive for founding and sustaining the company “ . . . has been quite simply, the empowerment of women. I want the world to experience the intelligence, artistry and power of female voices, and watch these wonderful artists reveal themselves through the prism of the greatest poetry in the English language.” Which, I might add, they do! In a slight turn of this production toward the authorship question, the program notes contain the usual comments “About the (Alleged) Playwright”. Yes: (Alleged). 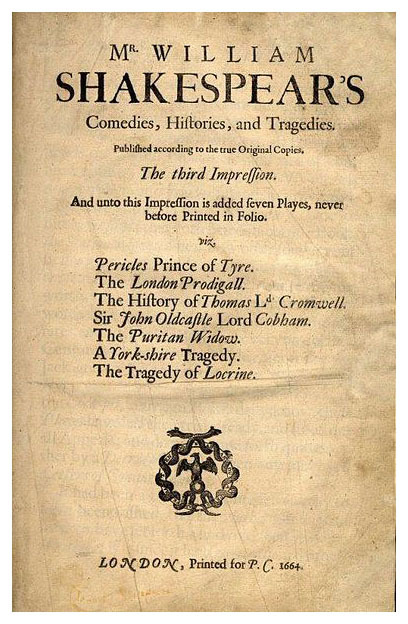 It goes on to summarize the authorship controversy and state that “Alas, with few surviving documents to work from, no writers’ guild to arbitrate the matter, and no Facebook pages to tell us who liked whom in Elizabethan times, the question of Hamlet’s authorship likely will remain unresolved for at least the run of this production.” It is a sign of the times, when the likes of Vanessa Redgrave, Sir Derek Jacobi and esteemed theaters like the Odyssey acknowledge the value of this inquiry. When we met with her after her stellar performance Lisa would not say for the record who she thought may have penned the Canon, but we did talk quite a bit about Mary Sidney’s accomplishments as a woman competing in what was most assuredly a man’s world. A production with remarkable performances and total absence of “frailty”, if you are in the L.A. area, get over to the Odyssey and experience Lisa Wolpe as Hamlet. 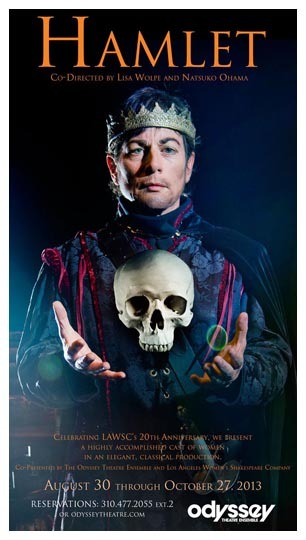 Performances of Hamlet take place on Fridays and Saturdays @ 8 p.m. and Sundays @ 2p.m. *, Aug. 30 through Oct. 27. (*On Sunday, Sept. 1 only, the performance will be @ 5 p.m. with no 2 p.m. matinee.) Additional weeknight performances are scheduled on Wednesdays @ 8 p.m. on Sept. 18, Oct. 2 and Oct. 16; and on Thursdays @ 8 p.m. on Sept. 12, Sept. 26, Oct. 10 and Oct. 24. Tickets are $30, except for the performance on Saturday, August 31 which is $45 and includes a gala reception following the performance. The Odyssey Theatre is located at 2055 S. Sepulveda Blvd., West Los Angeles, 90025. For reservations and information, call (310) 477-2055 or go to http://www.OdysseyTheatre.com. If you’ve been a member of the Roundtable for a while, then you know Louis Fantasia. He’s a widely acclaimed theater director, actor and author; not to mention an engaging lecturer on all aspects of the Canon. Last November, just before the election, he spoke to us on the subject of Rome and Politics in the plays. And on Saturday, March 16, at 10:00 am at the Los Angeles County Arboretum & Botanic Garden’s Palm Room, Fantasia will deliver yet another of his juicy musings on the bard; this one entitled “Baleful Weeds and Precious-juiced Flowers” – a discussion of Elizabethans and their relationship with plants and flowers. Lull’d in these flowers with dances and delight. Louis Fantasia is currently Chair of the Department of Liberal Arts and Sciences at the New York Film Academy (Hollywood campus), and Director of Shakespeare at the Huntington, the teacher training institute of the Huntington Library, Art Galleries and Botanical Gardens in San Marino, California. 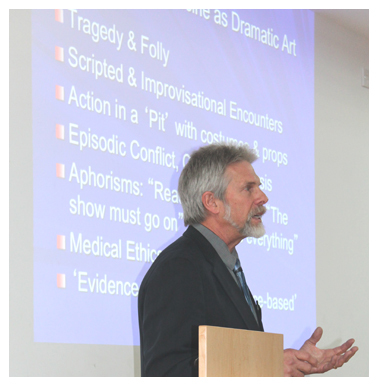 He has taught at the Juilliard School and the University of Southern California School of Theatre, the London Theatre School (Head of Acting and Director of Studies) and Schiller College-Europe University (Chair and Artistic Director of Theatre Programs). From 1988 to 2002, he was Education Director of the Shakespeare Globe Centre’s Western Region and ran the Globe’s actor/director training programs in London. In 2003, the Council of Europe in Strasbourg named the theatre collection at its library in the European Parliament in honor of Louis Fantasia, who holds both U.S. and European Union passports. In 2007, he served as President of Deep Springs College. His second book, Tragedy in the Age of Oprah, will be published by Scarecrow Press in 2013. What: “Baleful Weeds and Precious-juiced Flowers” with Director & Educator, Louis Fantasia. 301 North Baldwin Ave. Arcadia, CA 91007 When: Saturday, March 16, 2013 at 10:00 a.m. Admission: First-time guests are free. On November 10, 2012, the Roundtable hosts a very special lecturer speaking on a very topical subject: Politics! Just four days after we find out the results of our own contentious political season, the great Louis Fantasia will speak to the politics of Renaissance England, where there may be some comparisons to be made. Shakespeare’s politics – and those of his fellow Elizabethans – were informed and defined by a single, if complex and complicated, model: Rome. The Roman body politic took several forms: dictatorship, empire, republic, and each of these found its way into Elizabethan political thought. This talk will not only explore Shakespeare’s Roman plays, but will also look at the rest of the canon, where “Roman” issues manifest themselves in the Histories, Tragedies, Romances, and even the Comedies. Louis Fantasia has produced and directed more than 150 plays and operas worldwide. Louis is currently Chair of Liberal Arts and Sciences at the New York Film Academy’s Universal Studios/Burbank campus, and Director of Shakespeare at the Huntington, the teacher training institute of the Huntington Library. In 2003, the Council of Europe in Strasbourg named the theatre collection at its library in the European Parliament in honor of Louis Fantasia, who holds both U.S. and European Union passports. 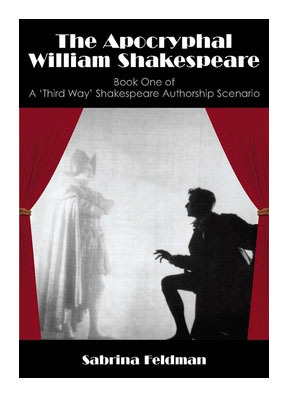 His book, Instant Shakespeare: A Practical Guide for Actors, Directors and Teachers has been used worldover and his second book, Tragedy in the Age of Oprah, will be published by Scarecrow Press.